In January of 2021 I am leading a winter landscape and wildlife workshop for a small group of photographers to Yellowstone National Park. In winter, Yellowstone is hushed by a thick blanket of snow. Trees are wreathed in frost; their branches arctic white against the winter blue sky. 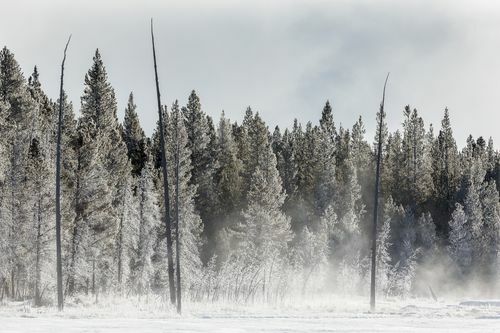 Yellowstone’s geothermal features and crisp, icy air create an ethereal glow that hangs over the landscape in winter creating a perfect natural soft box for landscape and wildlife photography. 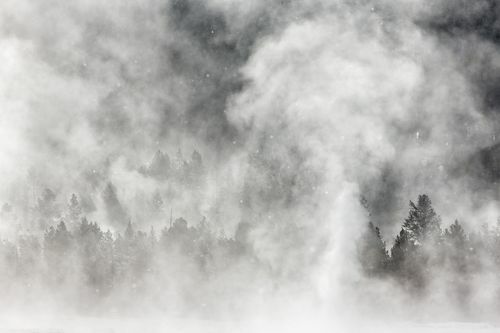 An alien like combination of mist- shrouded hot pools, bubbling mud pots and steaming fumaroles creates an ever- shifting winter wonderland that is the ideal setting for winter landscape photography. 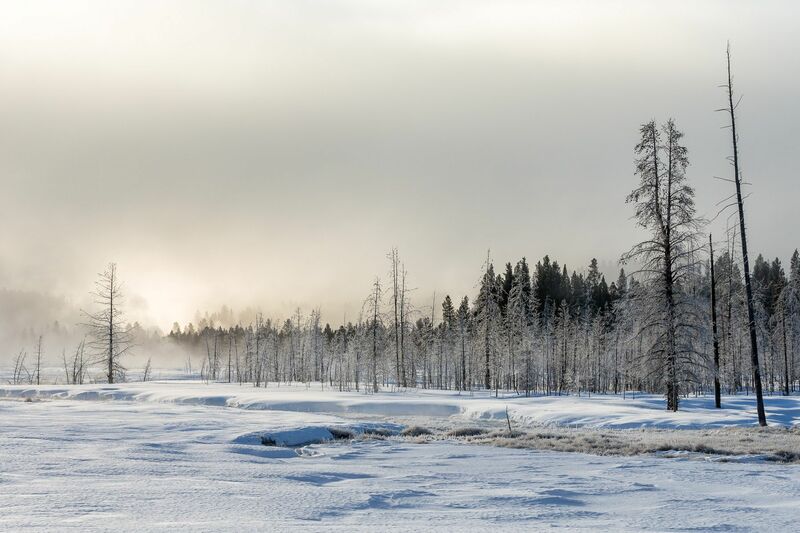 Deep in winter sleep, Yellowstone is still alive with wildlife and we intend to take advantage of any and all photographic opportunities presented to us. There are Bison, Elk, Bighorn sheep, Wolves, Bobcats, Canadian Lynx and Coyotes. 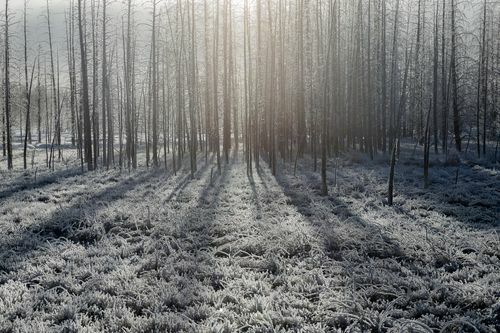 In winter the animals emerge from the park’s back country to congregate in the warmer river valleys and lowland areas. 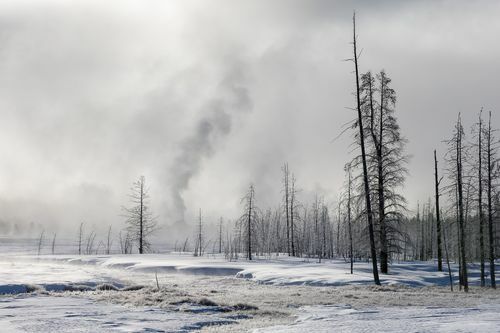 During this trip we will explore the northern part of Yellowstone in the Lamar Valley as well as Mammoth Hot Springs, Old Faithful, Madison Valley and the Firehole River Basin. This workshop is for a strictly limited number of six photographers plus local guide. We will be travelling by both private vehicle and private snow-coach with plenty of room for camera equipment so bring what you need! 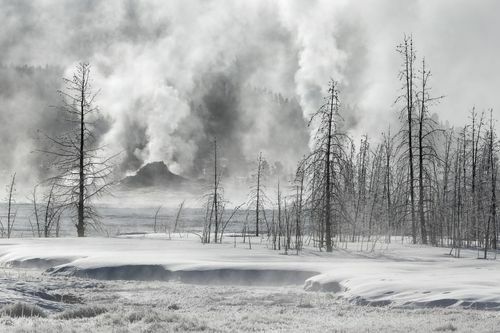 If you are excited by the idea of winter photography in Yellowstone then now is the time to register your place. Places are strictly limited and once spoken for thats it.